The Spyder Overweb Ski Glove is the performance glove you’ve been looking for to keep your little ones warm and comfortable. Made from polyester stretch plain weave, these gloves are mobile and comfortable. They feature HydroWEB™ waterproofing along with a Spylon™ DWR coating for added coverage even in the heaviest conditions, and if things get freezing, the 200g of ThermaWEB™ insulation will keep them toasty. 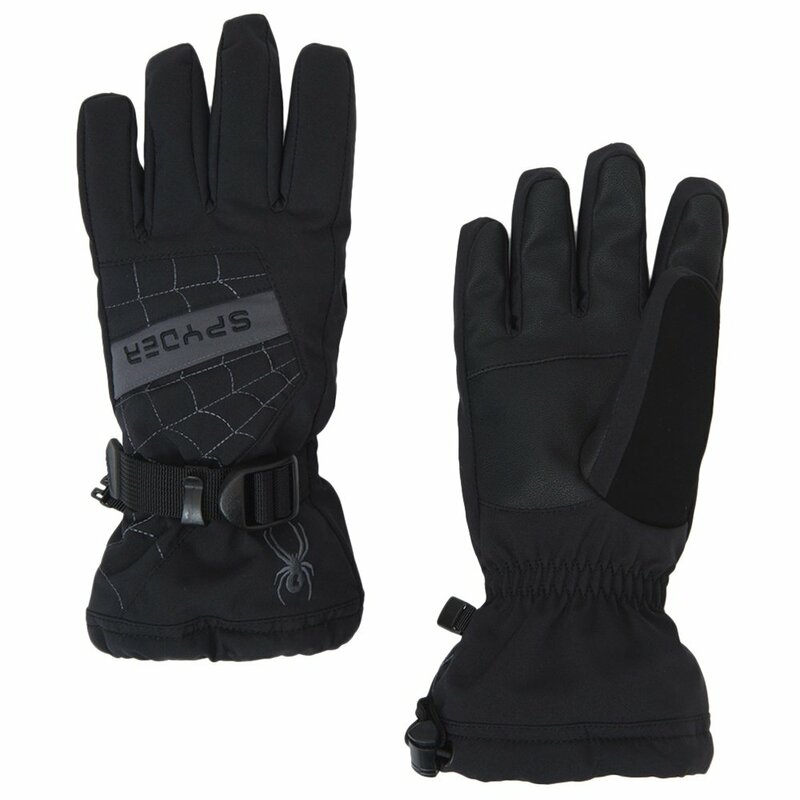 And because you want practical features for them too, the Spyder Overweb Ski Gloves also have a zippered heat pack pocket, adjustable wrist straps, and a soft nose wipe on the thumb for some added comfort.